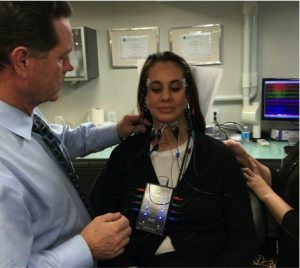 Botulinum Toxin (aka Botox/Dysport) has become a recognized treatment for TMD and craniofacial pain, however many dentists are unaware of the importance of incorporating EMG (electromyograph) analytics to improve diagnosis and treatment outcomes. Join us on the Live Dentistry Stage as Dr. Roberts demonstrates how EMG data is used to improve patient care by assisting with the diagnosis, dosage determination and injection timing. He will then treat the patient using PTIFA’s injection techniquethat essentially eliminates negative side effects. Understand how EMG’s are used to improve patient care when using botulinum toxin to therapeutically treat patents for TMD, bruxism and headaches. Understand how EMG’s are used for evaluating and recording the electrical activity produced by skeletal muscles and how they can reveal nerve dysfunction, muscle dysfunction or problems with nerve-to-muscle signal transmission. Learn how EMG’s can be used to determine the timing for re-injection, maintain the pain-free state, prevent relapse and improve patient care.